Tag Archives: Joe Smith Jr.
Bernard Hopkins is the king of trying to win fights at news conferences. Even at 51, that hasn’t changed. Hopkins and Joe Smith Jr. on Wednesday played host to a news conference at the Fabulous Forum ahead of their light heavyweight main event there Saturday night (on HBO). This will be the final fight of Hopkins’ illustrious career, one that has spanned 28 years and included titles in the middleweight and light heavyweight divisions. Smith, of Long Island, N.Y., has said all along that he is honored to be involved in Hopkins’ swan song. Smith also wants to win, and he let everyone know that as he spoke from the dais. “I know I’m going to be in there with a legend,” said Smith, 27. “But I work very hard, I’ve put many hours in the gym and a lot of sacrifices to get to this point, to where I am today. I’m just ready to get out there and put on a great show Saturday. Hopkins (55-7-2, 32 KOs), who will be 52 next month, wasn’t about to get that go without talking some serious trash. It included a reference to Kelly Pavlik, who Hopkins easily defeated in October 2008 at a catch-weight of 170 pounds. Pavlik was middleweight champion at the time. Pavlik went back down to middleweight, defended his title two more times before losing it to Sergio Martinez. Pavlik, who had all kinds of personal issues, fought four more times and won all four bouts, the final one coming at the tender age of 30. “I’m not going to wish the Kelly Pavlik on him (Smith),” said Hopkins, insinuating he ruined Pavlik’s career. “But what I’m going to do is, I’m going to spank him, teach him his ABCs and then send him back to Long Island, up the road from Philadelphia. Interestingly, Smith (22-1, 18 KOs) had a strange look in his eyes, like he didn’t know what to make of Hopkins and his intimidation tactics. Bernard Hopkins is 51. He’s a living legend and will be inducted into the International Boxing Hall of Fame on the first ballot. Not one person would have blamed Hopkins if he decided to fight a tomato can for his farewell fight. Hopkins doesn’t roll like that, though. Instead, he’s taking on highly ranked light heavyweight Joe Smith Jr. in his final bout Dec. 17 at the Fabulous Forum (on HBO). Hopkins and the rest of the interested parties played host to a news conference Monday to formally announce the bout. Hopkins was asked about taking on a guy who in his most recent bout stunned everyone by stopping Andrzej Fonfara in the first round this past June in Chicago, instead of an easy mark. “That’s not me,” Hopkins said. “And you would look at it as, ‘Bernard wants the easy way out.’ I never want anything easy. And just give me an opportunity and I want to figure it out myself. And I think that is more of the credibility that’s in me even at this age, to understand that’s just me. Hopkins, of Philadelphia, is 55-7-2 with 32 knockouts. Smith, 27, of Long Island, N.Y., is 22-1 with 18 knockouts. That’s a knockout ratio of 78 percent. He is ranked as high as No. 2 in the world. 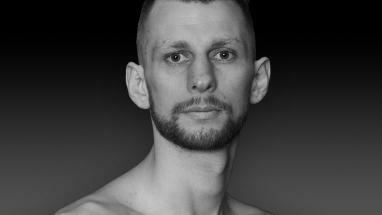 Andrzej Fonfara had something to say about Joe Smith Jr. in the days leading to their light heavyweight bout Saturday at UIC Pavilion in Chicago. Some of those heavy punches found the heavily favored Fonfara (28-4). He was sent crashing to the canvas twice in the first round, the second time ending the fight as Smith shockingly knocked out Fonfara with 28 seconds left. The fight was televised by NBC. Fonfara came in ranked as high as No. 2 by one of the four major governing bodies. Smith (22-1, 18 KOs), of Long Island, N.Y., was unranked, but figures to find his way into the rankings after this. Fonfara, of Chicago via Poland, was fighting in front of his fans. Rau’shee Warren of Cincinnati got revenge when he won a majority decision over Juan Carlos Payano of Miami via the Dominican Republic to take Payano’s bantamweight world title. Scores were 114-114 and 115-113, 115-113 in favor of Warren (14-1). Payano (17-1) had made the first defense of his belt when he won a split-decision over Warren this past August in Winter Park, Fla.
Joe Smith Jr. is 21-1 with 17 knockouts and proud owner of a knockout ratio of 77 percent. Apparently, Andrzej Fonfara is not all that impressed. Smith, of Long Island, N.Y., wasn’t quite as direct at Thursday’s final news conference. He did predict victory, however. Fonfara is from Chicago via Poland, so he’ll have the home-ring advantage.